It’s almost the middle of November. Awards Season is officially here. And yet – movies are still being entered into the race. Netflix’s late addition of “Mowgli” from director Andy Serkis definitely shakes-up the technical category predictions. But before writers and analysts (including yours truly) dive into all the big nominated films and performances for the next four months, you’ve got to know when everything is happening. Molly Shannon and “Crazy Rich Asians” star Gemma Chan will be announcing the nominees. The finest achievements in film and television animation will be named at approx. Noon ET. 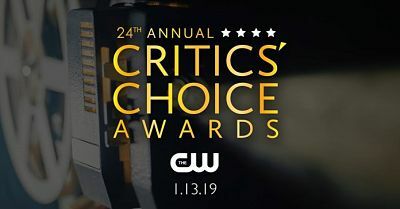 In the past few years, the first half of the categories have been announced exclusively on the GG website before the “Today” show cuts to the live feed for the second half. 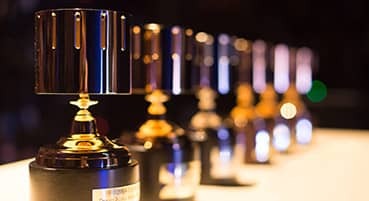 As a member of the Broadcast Film Critics Association, I have the honor of choosing who should be nominated (and who should win). I’ve always wanted to be on the nominating committee. Hopefully that will happen one of these years! 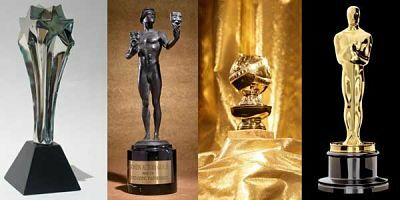 SAG-AFTRA members are usually granted access to vote for the winners one week after the nominations are released. NBC is expected to air the 76th annual ceremony. If you’re up early, the British Film Academy should be making their announcement around 2:30amET. I’ll be back in LA for the 3-hour live telecast, airing at 7pmET on The CW. Like the Globes, last year, ABC only aired some of the category nominee announcements during “Good Morning America”. The rest were on a livestream on the Oscars website. Kristen Bell was the first-ever SAG Awards host last year. We’ll see if she returns – or if someone else is emcee of this simulcast on TBS and TNT. Official details will be coming soon, but expect a live nomination announcement this year! The animation celebration will be livestreamed once again on the Annie Awards website. Should be around 10pmET. Since it’s over in London, the BAFTAs usually takes place at about 3pmET. BBC America doesn’t broadcast it until 8pmET. So this is typically the day I try to stay away social media. The show that announces first always goes second to last. Who will host? The Academy should be making that decision very soon.